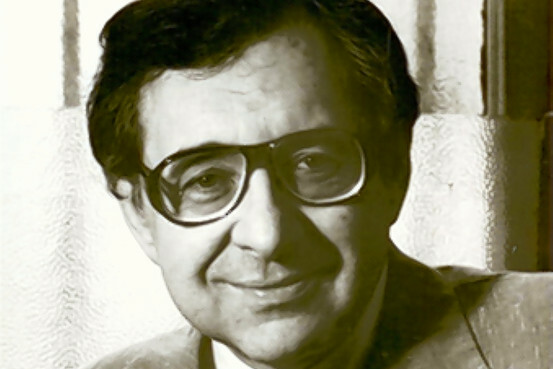 Bernard Nathanson died two years ago today–February 21, 2011. At the time, his passing was little noted by the media, and you would be hardpressed to find any comment on the anniversary of his death now. Yet Nathanson is one of the most important people in recent American history. And his life is a searing testament to the possibility of personal transformation in the modern era. A learned and articulate ob-gyn, Nathanson was a leading architect of the modern abortion movement until he switched sides in the late 1970s. By then he had performed or supervised more than 60,000 abortions, including one on his own girlfriend, pregnant with his own child. Nathanson was the archetypal modern man, his life the archetypal modern life. Like his father before him, he was an ambitious physician who renounced Orthodox Judaism and accepted only the most conventional (and violable) sort of moral code. Both father and son sought salvation in education and career. And like every true modern, Nathanson was enamoured of science and technology–fascinated by their raw power to deliver not only physical benefits but truth itself. During his professional prime, a monstrous devotion to such possibilities grew up in him unbounded. When the Chinese and Soviets perfected the suction method of abortion in the 1960s, Nathanson became convinced that this was the technological “missing link” to make abortion the safe and efficient solution to the problem of unwanted pregnancies. He co-founded the National Abortion Rights Action League in 1968. Three years later, he took over as director of the Center For Reproductive and Sexual Health, New York City’s first large abortion facility. Remarkably, Nathanson credited his conversion to the pro-life cause to another technology, ultrasound, which for the first time enabled one to see the living fetus in utero. He even believed technology offered a way out of the moral impasse of the abortion debate. At a lecture at Princeton University in the late 1980s, he would insist that the debate could be resolved by the development of technologies to transfer an unwanted embryo (the “alpha,” he called it, in an attempt at moral neutrality) from the womb of the mother to the womb of a more willing woman. His postmodern audience, subject to a different set of enchantments, was not persuaded. Ultimately, Nathanson’s own self-cast spells were broken. After many years in the pro-life movement, he converted to Catholic Christianity. His autobiography, The Hand of God (Regnery, 1996), is an as-yet unacknowledged religious classic. Here he relentlessly unpacks his own moral and spiritual history with the same kind of analytical detachment he had once practiced in a contrary cause. But the life of this modern man also gives grounds for hope. That Nathanson managed to rise from the depths of the darkest technological amoralism; that to do so he made use of the fundamental tendency he had acquired in that darkness; and that having helped create the abortion monster he managed not only to avoid being devoured by the beast but to also deal it a few blows–all are profound signs of both the reality of personal conversion and the enormous power of God’s providence, in this or in any age. Enjoyed this. Looking forward to reading his autobiography.